The past week the boys each had their first field trips, Kaden for Kindergarten and then Logan for Pre-K. When Logan learned that Kaden's field trip was on Thursday he got upset that he couldn't go & then when I reminded him that he had one the next day and it was to the pumpkin patch, Kaden got upset that he couldn't go Logan's. Oh to be 4 and 6. 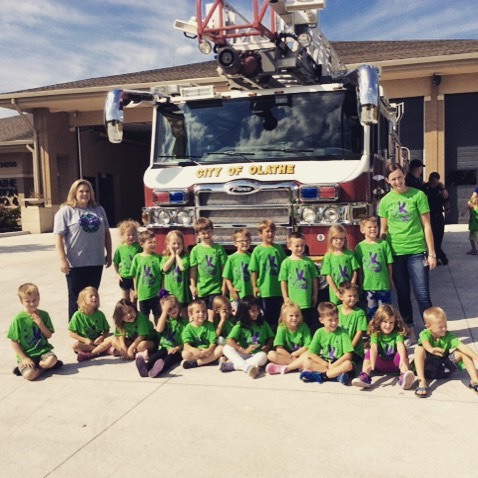 Kaden's class was touring the local fire station and learning about safety. It's not far from their school so they just walked as a class. & sadly, I wasn't able to go along since I was traveling to Dallas for work but luckily, the teacher sent out a few pictures. He must have been listening too because it's all he has been talking about since. "Dad it's not safe to leave knives out." "Mom, if we have a fire and my door is hot, I'll go out through Logan's room." "Logan, if there is smoke in the house, you have to get down and crawl under it & make sure you touch the doors to feel if they're hot before opening them." "& Mom, we don't go back in the house for anything. We leave our toys and meet at our meeting place outside." & Stop. Drop. & Roll. has been played out sooo many times at our house--it's safe to say he has it down. 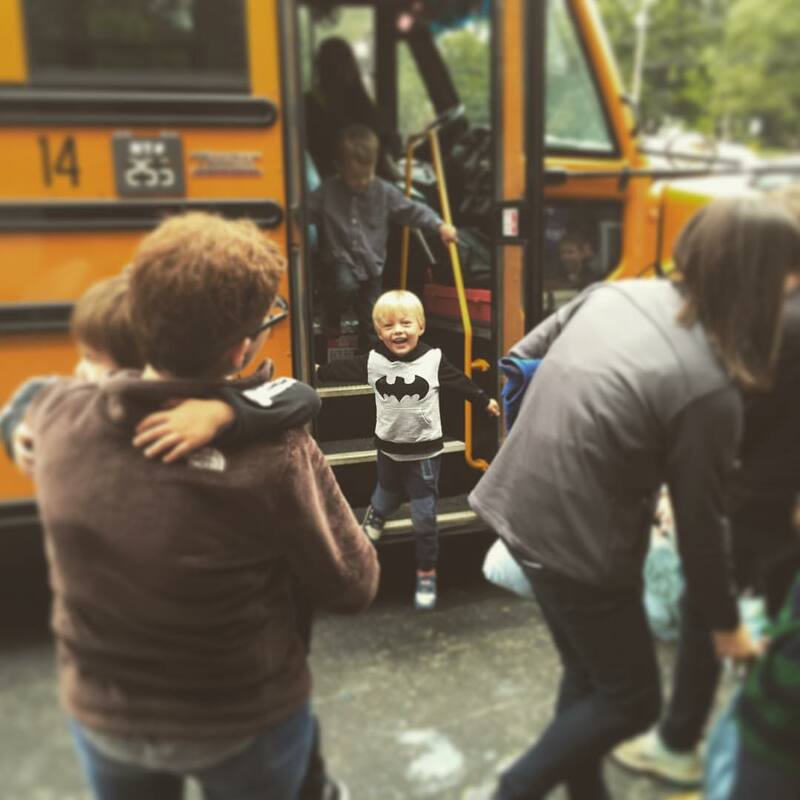 Logan was not only headed to the pumpkin patch but he was also getting to ride the a bus for the very first time. I was in all day meetings so not only was I not able to go with him on the field trip but Justin was to pick him up and even managed to capture the excitement on Logan's face as he jumped off the bus. He LOVED his day at the pumpkin patch and even though Justin and I weren't able to attend, he got to hang out with his friend Leland and his mommy Jodie! 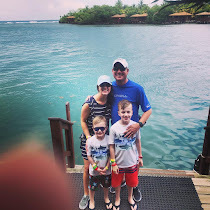 Here's to hoping this is the last field trip this year as Logan can not wait to get on the bus again!